The North Iowa Area Community College Charles City Scholarship Committee will host a gourmet dinner and auction, “Celebrating the Journey. Creating the Future.” the 24th scholarship fund-raising event on Thursday, September 13, at the Charles City Elks Lodge, 2111 Clark Street. The social hour will begin at 5:30 p.m. which will include live music and a silent auction, dinner will be served at 6:30 p.m. with a live auction. The menu includes Appetizers of the Era, Mixed Greens with Champagne Vinaigrette, Chef’s Cut of Beef with a Trio of Sauces, Vintage Vegetables, Au Gratin Potatoes and Strawbery Au Parfait. Proceeds from the gourmet dinner benefit the Charles City Area Scholarship Fund. Tickets for the event are $40 per person or $300 for a table of eight. Checks should be made payable to the NIACC Foundation. Tickets may be reserved by calling the NIACC Foundation at 1-888-466-4222, ext. 4386. Seating is limited. 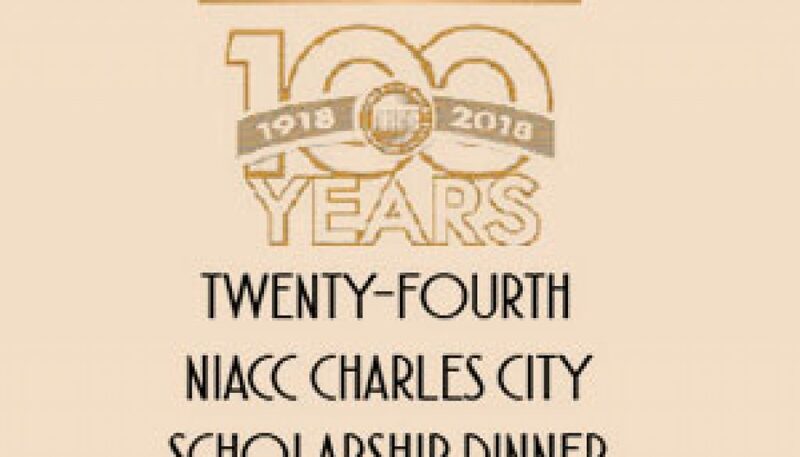 The Charles City Area Scholarship Fund provides scholarships to students attending North Iowa Area Community College either on the main campus or at the NIACC Charles City Center. The scholarships are awarded to applicants at least 18 years old, living in Floyd County and/or within a 20-mile radius of Charles City, and enrolled part-time (up to 11 semester hours of college credit). Since inception, more than 145 local students have benefited from this scholarship fund, which is made possible through the support and generosity of local businesses and community members.